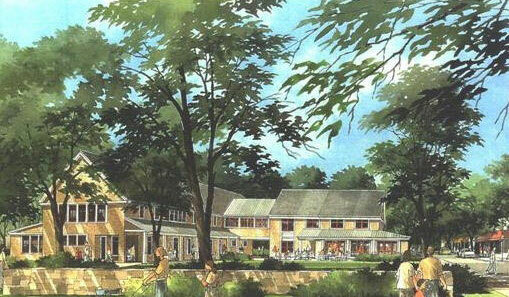 The Rural Land Foundation (RLF) has contracted with Cresset Development, LLC to redevelop a 178,000 sf site in Lincoln, MA. The site is located at 145 Lincoln Road, abuts a MBTA Train Station and includes 34,000 sf of buildings. The existing buildings were built in the 1970’s and include anchor tenants such as Donelan’s Supermarket, Bank of America, and the United States Post Office. The existing buildings were re-developed along with a 14,000 sf two-story structure in the southeast corner of the site house the Post Office, a Café and Offices. The total development was approximately 48,000 sf. Cresset has completed a long-term lease with the Post Office for the new building and the balance was marketed as office with a Café space. Donelan’s Supermarket underwent a significant $2M expansion into 20,000 sf from 13,000 sf and they have signed a long-term lease. In addition Cresset was responsible for the permitting, financing, and constructive oversight for the RLF.